Will Facebook’s foray into social commerce give OLX and Quikr the jitters? Facebook, Inc., the world's biggest social network that boasts 2 billion monthly active users, is testing a 'Marketplace' feature for India where users can "buy and sell items with people in their community". "This activity started in Facebook groups and has grown substantially. More than 450 million people visit buy and sell groups each month—from families in a local neighbourhood to collectors around the world," Mary Ku, director of product management, Facebook, had said in a blog post while introducing the service in the US last year. Though the sale and purchase of gadgets, furniture, vehicles and even real estate have been happening on Facebook groups in India as well, the company now plans to bunch up all such posts and groups under a common tab on the app. “People in Mumbai can visit Marketplace by tapping on the Marketplace icon inside the Facebook app,” a Facebook spokesperson said. Given Facebook's unparalleled reach and legendary stickiness, it might seem that the social network is likely to taste runaway success. After all, Facebook is an inseparable part of the lives of millennials, who account for a chunk of the social network's core user group. Besides, if the high popularity of some groups, such as the ones that help people find accommodation, is any indicator, it might seem like cracking social commerce will be child's play for the Menlo Park, California-headquartered company. However, some homegrown classifieds companies VCCircle spoke to sounded unfazed by the Marketplace initiative—they said it may face several challenges in India as the market dynamics here are different from those in developed countries. Sandeep Aggarwal, founder and CEO of online used car marketplace Droom, told VCCircle: "While Facebook's Marketplace might see some success in categories such as apparel and gadgets, it stands no chance in segments like automobiles. Such categories need deeper curation, category experience, and services that incorporate trust, transparency, standardisation of pricing, and grading of seller." Commerce is not Facebook's core competency and, hence, the chances of failure were high, Aggarwal said. "Look at what happened with the MSNs and AOLs of the world. They had all tried a similar model in social commerce after being buoyed by a huge traffic and user base. Also, Rediff and Indiatimes, using the same strategy, failed to keep up with platforms such as Flipkart whose speciality was e-commerce," he explained, adding that he was yet to identify a successful social commerce company in India. Jeff Bezos-led e-commerce giant Amazon has also entered the customer-to-customer sales space in India with its 'Local Finds' service. During the launch, the company said the service was aimed at enhancing customer experience, whether it's meeting strangers, answering calls and texts, or issues around delivery and payments. Local Finds covers books, video games, music, movies, mobiles, laptops, fashion apparel and home decor, among other things. The service, first run as a pilot in Bangalore with nearly 600 sellers, is now available in Mumbai, Hyderabad and Chennai. It claims to have over 30,000 customers. One of the reasons social commerce hasn't taken off in India, says Aggarwal, is that it's a low trust market. "Seller profiles need to be verified before listings are made online," he says. Classifieds firms Olx and Quikr declined to comment for the story. Facebook Marketplace's guidelines, under the 'Trust and Safety' tab on its website, exhort users to meet in a public place "where there are plenty of people". They also advise users to make the payment in person, report listings that look suspicious, and check seller profile and history. To be sure, this is not a issue specific to a platform or country. Stray incidents around user safety are known to happen from time to time, and companies seem to be taking steps to counter the menace. Quikr, for example, has been reportedly developing strategies to help users overcome these issues. With its Doorstep service, which it launched in 2016, Quikr facilitates secure online payments and door-to-door pickup and delivery of goods. It also has an intercity service that was launched as an extension to Doorstep, to offer a greater selection of goods. Additionally, it has a certified marketplace for products that are inspected, refurbished and carry warranty. Amazon has also said that it will provide sub-services such as shipping and doorstep inspection. Analysts, however, believe that Facebook is well-positioned to reap gains from the addition of Marketplace in India. “According to the Internet and Mobile Association of India, India’s online population is expected to reach over 500 million by the end of the year. Facebook has had success in social commerce in markets such as Thailand where close to 33% of total e-commerce spending is going through it, and payments are happening online. Though it is a relatively new domain from an Indian context, it would gradually gain acceptance among the youth as it merges the concepts of social network and collaboration with e-commerce," Sahaj Kumar, senior consultant, IDC India, said. Besides, India is also home to a huge number of small and medium-sized enterprises who can leverage the platform to boost visibility for their offerings. "Facebook users are starting to warm up to the concept of social commerce... SMEs will adapt to the recent changes in consumer behaviour to ensure they stand out from corporate giants," Kumar added. "E-commerce platforms backed by Facebook's social commerce platform can assist a user in making informed decisions. 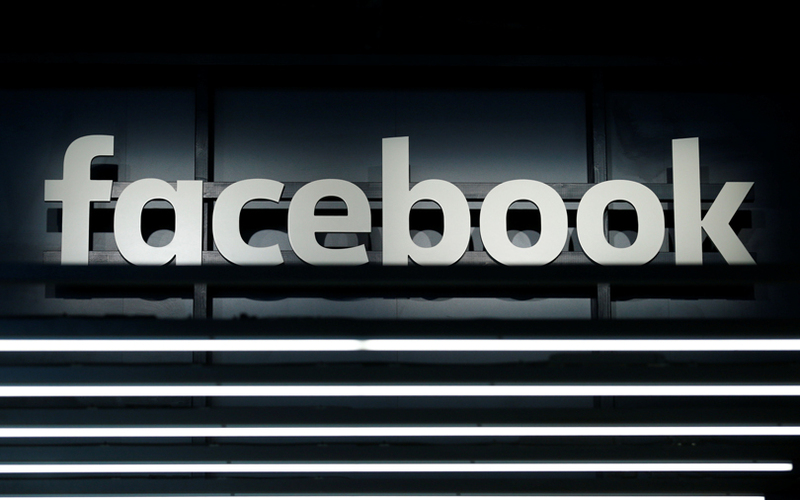 Facebook’s foray into social commerce could help monetise marketing campaigns targeted towards 20-35-year-olds' tendency to access things quickly," he explained. That said, Facebook will need to lure users with various offers and not just limit itself to simple transactions, Kumar said. Pavel Naiya, senior analyst at Counterpoint Research, feels Facebook will benefit from tonnes of data—contextual insights into user behaviour, along with details such as demography, interests, likes and dislikes. "Creating an integrated buyer-seller ecosystem to boost peer-to-peer social commerce activities is a logical step," he said. But that doesn't mean the Marketplace initiative is predestined for success. "As of now, Facebook has developed its features based on enhancing user experience around social conversations. It is inherently noisy with user-generated data and, therefore, weak in the context of e-commerce user interface. Facebook will need to create a more intuitive UI before it starts scaling it services," he explained. Despite the challenges, Naiya feels Facebook—driven by data and backed by capital and technological infrastructure—will likely become a tough competitor in the area of online-to-offline commerce. "It will be harder for existing players like Quikr, Olx and eBay to stay relevant in future. Going forward, there will be a few integrated e-commerce platforms serving the majority of the user base, alongside small players serving specific niches," he feels.